Hi all, I created this worksheet for grade 4 lesson "It's Sunday". The lesson covers some revision of food vocabulary as well as days of the week. I was inspired by the textbook's idea of using school lunch menus to practice talking about the days of the week. 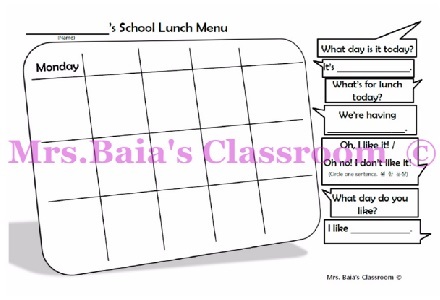 In the worksheet, as you see in the preview below, the students are supposed to finish the menu by writing in the remaining days of the week as well as drawing some of the missing foods. Next to the menu they have to complete the dialogue, also connected to the textbook. 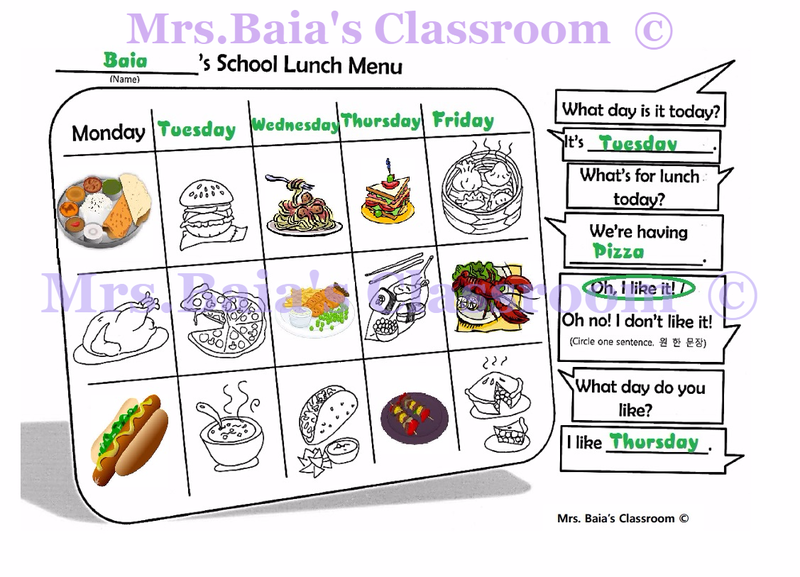 You can download the worksheet at my Teachers Pay Teachers Store - the download will include a blank worksheet as well as an illustrated one, if you'd like the students to draw all the food items of the menu. Also, the download includes an all in English version - as you can see there is one instruction on the worksheet that says "circle the sentence" - and I have provided a Korean translation of the sentence also , however if you are not teaching in Korea, the download has a version without any Korean on it. I would also use this for grade 5 lessons on food and even more levels. It's a great way to review, food, days of the week and discussion of the two together. Hope this helps in your class!